The Viagrow® 20 Gal. 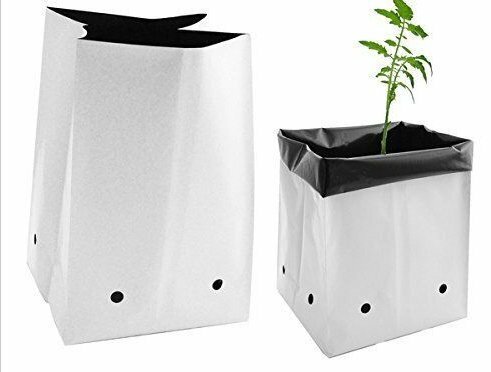 Nursery Grow Bags offer an inexpensive alternative to the more traditional ceramic and plastic nursery pots. These thick plastic bags are reversible from black to white for a variety of applications and can be reused several times with sterilization. The fluted side walls and pre-punched drainage holes along the bottom add oxygen to the roots and make for excellent drainage. 100 bag count.